Mexico that lures surf enthusiasts from every corner of the world. However, Hotel 55 was bustling the final week of July not for those seeking the thrill of Playa Zicatela’s ferocious waves, but for an annual midwifery training that provides essential continuing education for parteras tradicionales or traditional midwives serving their communities throughout the state of Oaxaca. The project, now in its 6th year, is critical to the health and well being of pregnant women and their families throughout Oaxaca. 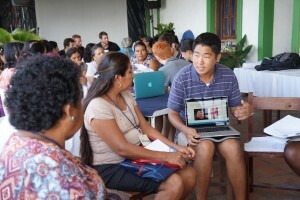 Over the course of 4 activity-packed and eventful days, a training mandated by the Oaxacan Ministry of Health is carried out in collaboration with Child Family Health International (CFHI), a group of ambitious medical students from Northwestern University Feinberg School of Medicine who are members of the institution’s Alliance for International Development (NUAID), and local health professionals, including Dra. 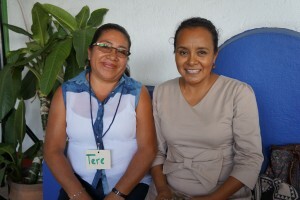 Isabel Saucedo, an employee of the Reproductive Health Office of Jurisdicción 4 and CFHI’s Medical Director in Puerto Escondido. Dra. Saucedo is a local champion for bridging the gap between the local healthcare system and traditional midwives, and has shown great perseverance and commitment to ensuring this project takes place year after year. Themes covered were safe birth techniques, recognition of obstetric emergencies, and addressing newborn distress. The Oaxacan Ministry of Health builds upon each year’s training and seeks quality improvement to establish consistency and correctness with prenatal guidance, fertility advice, family planning, and birth attendance. This year’s training incorporated an interesting component that complimented the materials provided throughout the project. Hesperian Foundation’s award-winning Safe Birth App was introduced to a select group of midwives using low-cost computer tablets. This app was created for low literacy audiences and has been piloted in several midwife cohorts in Latin America with great success. Working in tandem, CFHI and Hesperian will continue to track the response and impact of the application and the use of the tablets on the health of local communities. 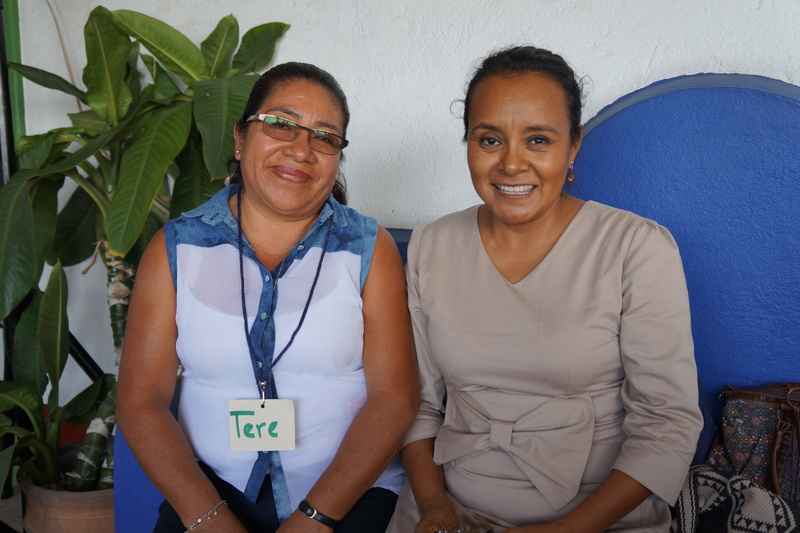 Puerto Escondido’s intense heat presented no match for the enthusiasm of the 30 midwives who traveled from various parts of Oaxaca, many of whom were eager to join the training for another consecutive year and to proudly represent their communities. This entry was posted in Uncategorized on August 4, 2015 by Jessica Evert, MD.